If you want to learn a new language, Duolingo for iOS has always made it easy, simple and fun. The app’s latest 5.0 update however, makes it even better, as now chat bots are available to help you practice with conversations (iPhone version only so far). For now, bots are available for French, Spanish and German only, but expect more to come soon. For now, only text chat is available with bots, but in the future, the company says it will add spoken conversations, too. This may be one of the best implementations of bots we have to date. The best way to learn a new language is to apply it in practice, and this looks like the way to do it. 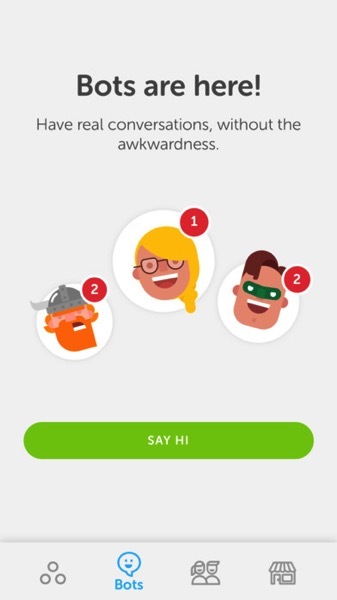 Click here to download Duolingo for iOS in the App Store—it’s free.